It’s Nebraska game day, as Penn State is all set to take on the Huskers in Lincoln tonight. And we’re all set to speak with Talking Head, who played D1 volleyball and has coached the sport for many years. 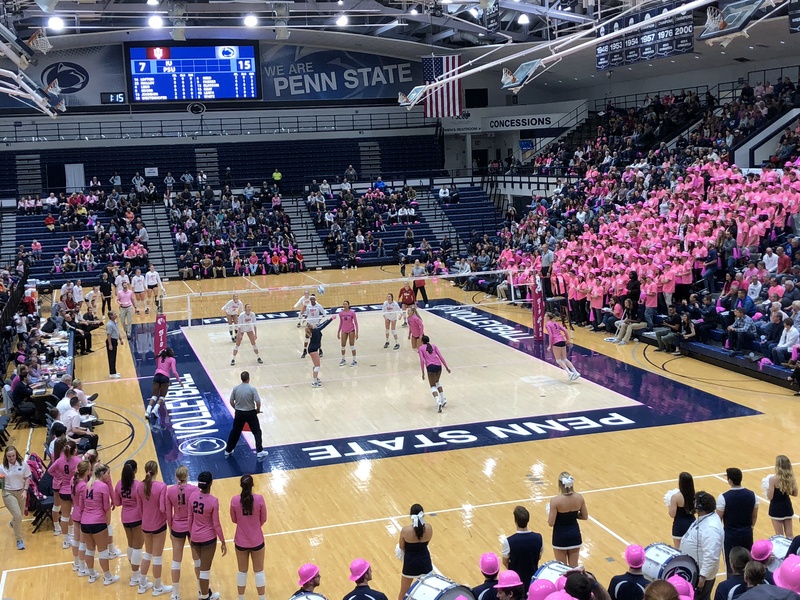 DigNittany: Before we get to this weekend’s matches, let’s talk a bit about the Nittany Lions’ 3-2 loss to the Purdue Boilermakers last Saturday, after leading 2 sets to none, and with a big lead in set 3. Your thoughts about that match? Talking Head: Purdue has always had extremely athletic personnel and kids who are enjoying pretty successful professional careers. I think that speaks to Dave Shondell’s recruiting — they’ve always had some “stud” athletes, who if they “go off” can be very dangerous. 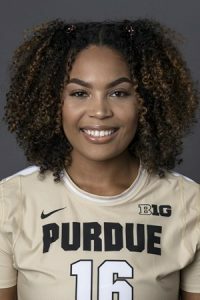 Sherridan Atkinson [Purdue’s 6-5 OH] is the latest in that line of players, and against Penn State she “went off,” finishing with 32 kills on 56 swings, hitting .518. 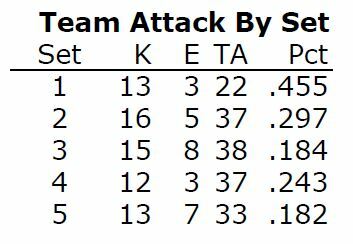 In a way, the Purdue match was the mirror image of Penn State’s match against Nebraska — Penn State scored more points than Purdue, we had more blocks than Purdue, we had more aces than Purdue — but Purdue won the only statistic that matters — they won three sets and we won two. 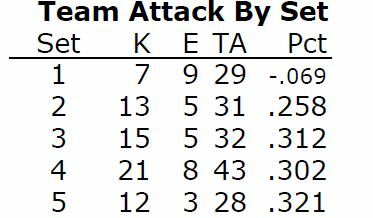 They surged at the end of the last three sets, and took those sets from the Nittany Lions. 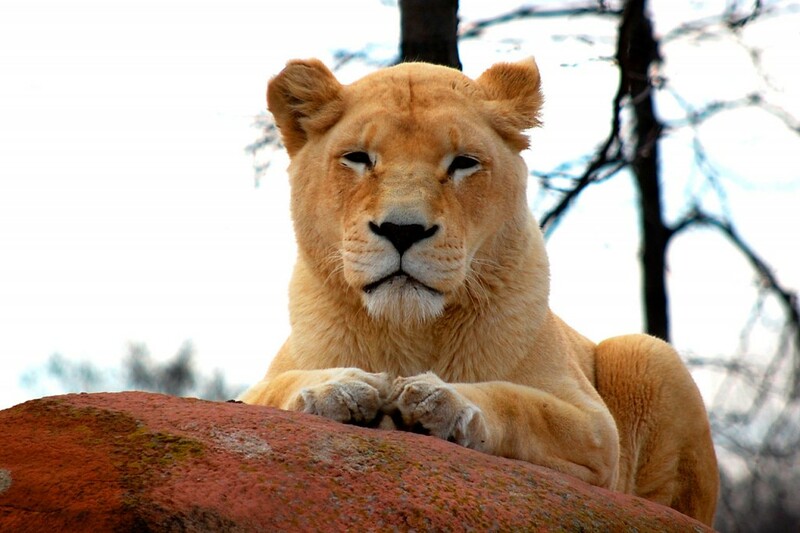 After a loss like that, there’s a tendency to focus on a player or two as the cause of the defeat. At least for the Purdue match, that’s the wrong way to look at things. The loss to Purdue was attributable to multiple things going wrong for the team, collectively. 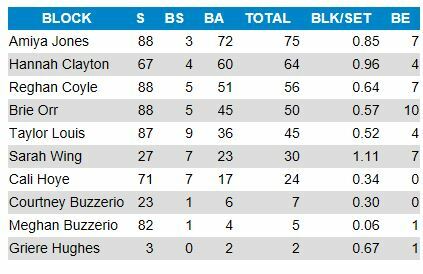 I think there were multiple players who had off games at key moments in the match. It was a team effort. DigNittany: With a very tough schedule ahead (more on that later), some Penn State fans are a bit panicked following the loss to Purdue. Your thoughts? Talking Head: I’d tell them to just relax a little bit. 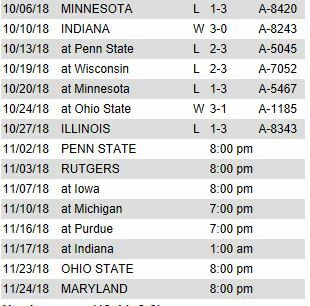 Looking at Penn State’s Big Ten schedule as a whole, after the consecutive losses to Minnesota and Ohio State (when, fwiw, Nia Reed was out due to injury) Penn State was 9-0 going into the Purdue match, and had dropped a total of three sets during that winning streak. I think with respect to Penn State, the old adage “You are what your record says you are” probably is true. Penn State is a good team — maybe a very good team — and the loss to Purdue doesn’t change that. We just collectively had an off night, at the later part of the last three sets. We saw Sherridan Atkinson have a career night against us, and the result was a five-set loss. And that’s not intended to be disrespectful to Purdue — the Boilermakers are on a six-match winning streak, with their last loss coming to . . . wait for it . . . Penn State (in West Lafayette). 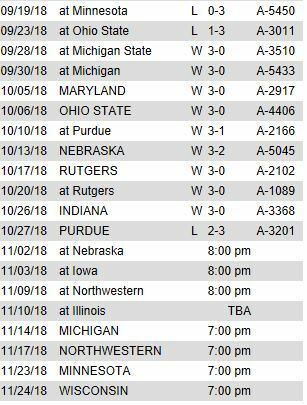 DigNittany: Nebraska has lost five of its last seven matches [see schedule at right]. What’s your take on how that might affect the Huskers tonight (if at all). Talking Head: It may not affect Nebraska, but I don’t think it is good for them. I think if Penn State can hang a loss on Nebraska in the first or second set, the team has to just run with that and lay the hammer down, because the Huskers are a team that is struggling right now for confidence, it’s a team where the home crowd probably lacks some confidence in the team and is growing restless, and you have some very, very good players on that team who are just not performing. We’ve talked about how the graduation of Nebraska’s AVCA All-American setter Kelly Hunter has affected the Huskers — much like the graduation of Micha Hancock affected Penn State. Both of them were players who create confidence in their teammates, both with their own play, and also with their demeanor and leadership on the court. 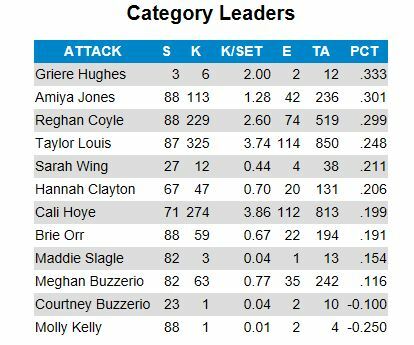 Talking Head: They have two very good middles in Lauren Stivrins and Callie Schwarzenbach. 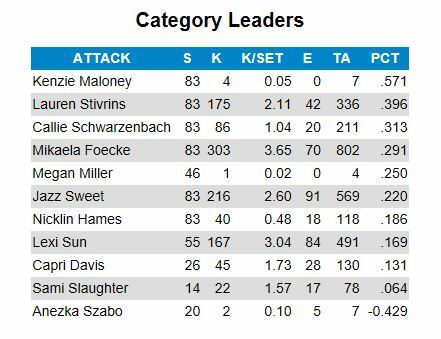 They have a good libero in Kenzie Maloney, but I’m not sold on their DS. 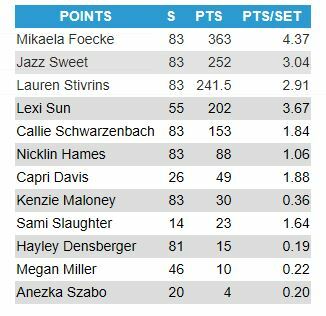 Their pins — OH Mikaela Foecke, OH Lexi Sun and RS Jazz Sweet — have had some terrific matches, but they’ve also had some really poor matches, and it’s hurt Nebraska. 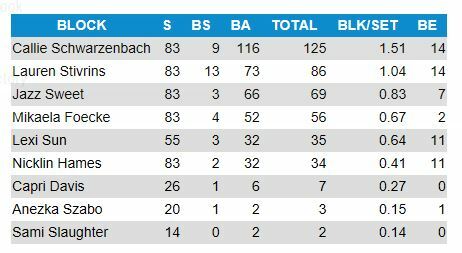 Foecke is hitting .291 — almost identical to last season, when she hit .290 — but last season the Huskers had Annika Albrecht (who hit .253) and Brianna Holman (who hit .358) as dangerous options. 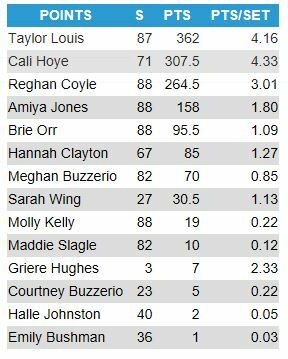 Jazz Sweet is hitting .220 compared to last season’s .273. And Lexi Sun, their big transfer (and former #1 Senior Ace) is hitting .169. That’s not to say the Huskers can’t put together a solid match and take down Penn State. But the pressure is mounting. And I think there’s far more pressure on Nebraska than on Penn State. This is territory that John Cook has never been in during his career at Nebraska. Nebraska has to win this match. DigNittany: Final thoughts on the Nebraska match? Talking Head: Penn State is a very good team and would really love to win against the Huskers in Lincoln. To lay down two wins this season against a team that has been really difficult for Penn State to beat in recent seasons — that would be sweet. But they don’t have to win this one. Penn State finishes with four straight matches at home against three very good teams (Michigan, Minnesota and Wisconsin) and Northwestern, a team that is capable of pulling off the upset. 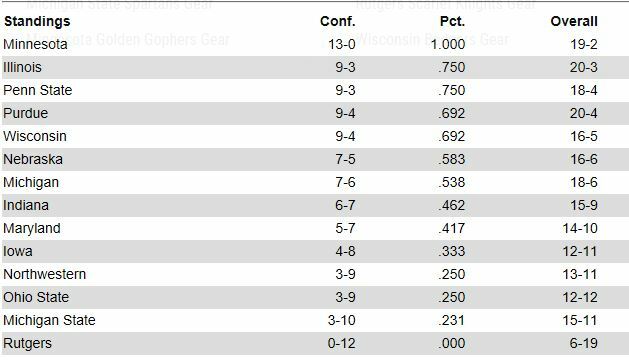 That speaks to how much parity there is across the country and the Big Ten in particular. A lot of top teams are not as deep as they were in past years. The talent is more spread out. 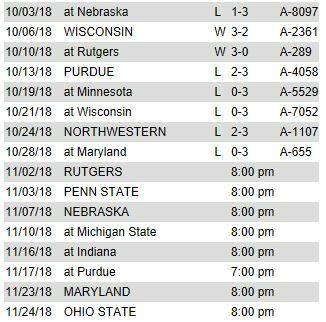 DigNittany: Iowa has lost five matches in a row. What’s your take on the Hawkeyes? Talking Head: Iowa is in trouble. They’re 4-8 in the B1G. They’ll probably pick up a win against Rutgers tonight, but is that going to make them better? Is that going to be a case of steel sharpening steel top prepare them for Penn State? No. I don’t know what Iowa’s issues have been this season — maybe nothing more than the Big Ten is a really tough conference — but they have a tough road ahead of them. They have to win their match against Penn State.